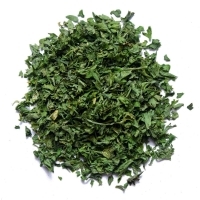 Browse parsley suppliers by country and region. Parsley, Petroselinum crispum is an herbaceous biennial or perennial plant in the family Apiaceae grown for its leaves which are used as a herb. Parsley is an aromatic plant with an erect growth habit and possesses branched, hollow stems and dark green flat or curled leaves which are arranged alternately on the stems. Short on time? Let parsley sellers contact you. Herbs , parsley , dill , basil. Medical herbs & spices of very high quality such as : chamomile, fennel, dill, anise, majoram green, peppermint, cumen, hibiscus, spices. Red beets, cilantro, spinach, radish, parsley. Terpineol (mu) - terpineol (pg) - terpineol (ep) - pine oil ( all grades) - delta 3 carene - ddt - peppermint oil - longifolene. Essential oils like mentha oil, spearmint oil, peppermint oil, dmo. Natural menthol crystals, peppermint oil. Menthol, peppermint oil and natural essential oils.